After graduating from Taiwan Cheng Kung University, Liu was awarded a scholarship from Raytheon and the University of California to join the UC Berkeley/UCLA/UCSD research programs, later received his PhD in Electrical Engineering from UCLA. He has worked in R&D and management positions at Qualcomm, the Samsung Electronics R&D center, MStar and Wireless Information. During his tenure at Qualcomm, he led an R&D team which gained 9 technology patents and won the company ImpaQt research and development award. 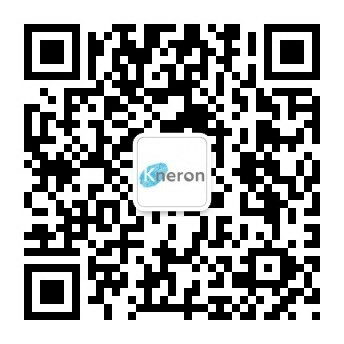 Kneron's core team members are from world renowned universities, including UCLA, UC Berkeley, and UCSD, Beijing Tsinghua, Purdue, Taiwan, and Taiwan Tsinghua. Our staff are experts in the fields of artificial intelligence, computer vision, and image processing, and many come from prestigious technology companies, such as Samsung, Bell Labs, IBM, Qualcomm and Broadcom. Roger obtained doctoral degree in Electrical Engineering at State University of New York at Stony Brook. 20+ years of semiconductor and AI industry experience, Roger was the former VP for R&D in Sentelic Corp, and also served as COO/CTO in Milkyway Silicon Technology. Adrian has worked 25 years in Qualcomm, and has held several positions including business development, product management, and engineering in chip set, handsets, and infrastructure divisions. Former Qualcomm Vice President of Business Development, responsible for key chip set product launches from 2G through 5G in markets, including US, Japan, Korea, Europe, and China. Daniel graduated in 1992, studied in the field of Computer Science and Engineering in Beihang University (BUAA). Serving 20+ years as former Chief Architect of Kingdee International Software Group. One of the first pioneers in developing enterprise software on Windows platform, and also recognized as an expert for Java and JavaEE platform in China. "Top 20 influential individual for China's software industry" by Programmer Magazine. Hsiang-Tsun Li had worked in Qualcomm for 17 years. He also served as the Vice President of Spreadtrum, took R&D and managerial positions at Lucent Technologies, and the technical managers of Huawei and Vivo. In the fields of multimedia, image processing, computer vision and artificial intelligence, he has obtained over 70 international patents and has published many papers in major international journals. Eddy has obtained his MBA at Tamkang University. He was Chief Operation Officer (COO) for Advanced Power Electronics, and served as Vice President of Operations at Young Fast Optoelectronics.